Apple's iPhone 6 has one of the best displays in a smartphone, enriched by its aesthetic iOS software and a proficient camera that is fun to use. It feels like a smartphone seven years in the making, now more-so than ever following a growth spurt and a subtle redesign. Finally, it is the iPhone fans have long wanted. Apple’s mobile operating system, iOS, is arguably the best available on the market. Time has seen it mature in aesthetics, functionality and in support. It is backed by the App store, which hosts 1.3 million applications and is replete with content. Then there’s the support of its sibling products, including Apple’s iPads and iMacs, which ensure devices worth with one another seamlessly. 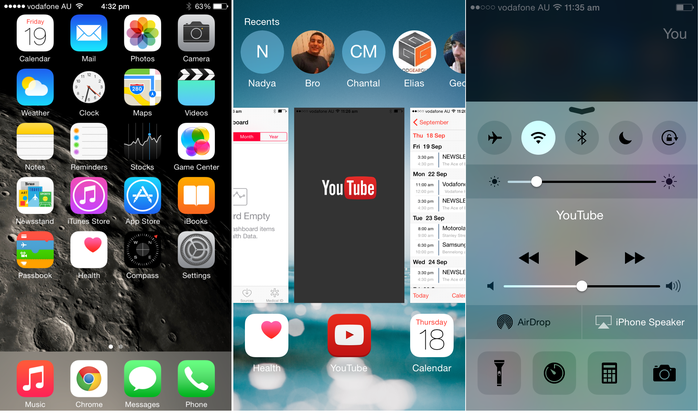 Apple introduced iOS 8 on the iPhone 6 and the 6 Plus. It continues the tradition of adding subtle improvements to the already comprehensive operating system. Popular changes have been made to its photo editing software, texting 'iMessage' application and more. Note: A software update for the iPhone 6 was rushed out less than a week following its release; however, the update, version 8.0.1, was quickly pulled by Apple on account of it causing its Touch ID finger scanner and cellular service to malfunction. Apple today (26 Sept) has released a software fix, version 8.0.2. 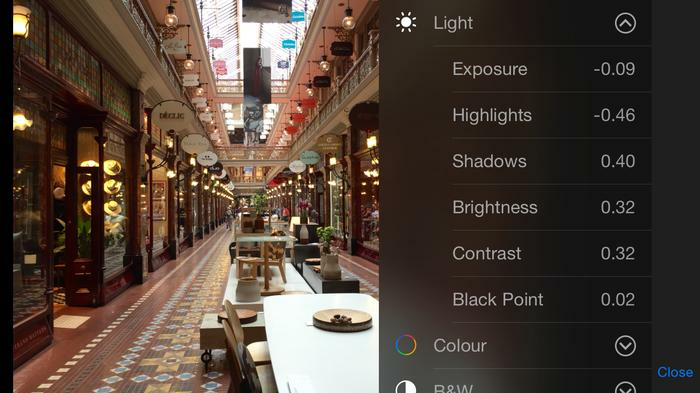 Apple’s minimalist camera interface is now supplemented by detailed editing options. Credit goes to Apple for translating advanced editing options into an easy to use interface in which anyone can take advantage. Sharing multimedia to fellow iMessage users has been streamlined. Voice snippets, photos and videos can now be affixed without compressing the quality of media. iMessage doesn’t have to tax the quality of media because it relies on your smartphone’s Internet connection. Voice calls over Wi-Fi are supported by iOS 8, but unfortunately Australian carriers don’t yet support the nascent tech. Other changes include the ability to install third party keyboards; a health application that ties the data from frayed apps into one attractive interface; and, interactive notifications. iOS 8 includes a feature that automatically straightens the horizons of landscape shots, and controls for exposure, brightness, contrast, highlights, shadows and more. Peel back the aluminium-clad body of the iPhone 6 and you’ll find Apple’s 64-bit A8 chip teamed with a motion-detecting M8 processor. There’s 1GB of RAM, storage options of 16GB, 64GB and 128GB, and a non-removable 1810 milliamp-hour battery. Turns out Apple applies its minimalist take on even hardware. Never does the iPhone feel slow or sluggish. Apple products are all about balance, and between the software and hardware, the iPhone 6 nails the formula to deliver top-tier levels of performance. Read more Did HTC, of all companies, just Re-invent the compact camera? Nothing impacts battery life quite like big and bright screens. 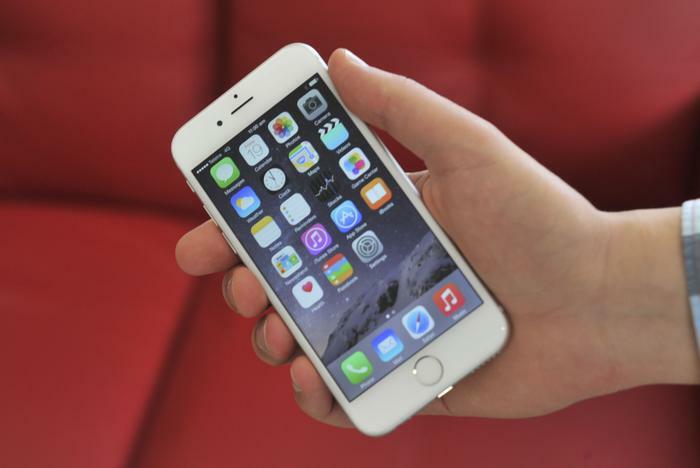 Inside the iPhone 6’s aluminium body is a non-removable 1810 milliamp-hour battery. The battery is small relative to some Android rivals, but the iPhone makes do on account of running more efficiently. Good Gear Guide tested battery life by using the iPhone 6 as our primary smartphone for the week. We used our smartphone moderately to make phone calls, send texts, reply to emails and browse the web. Some time was spent on social networking, watching YouTube videos and listening to music. Occasionally we used our phone for GPS navigation or for photos. Brightness levels remained on auto; only half of our applications were granted notification privileges; and less than half access to our location. Under these controlled conditions, the Apple iPhone 6 managed to last 25 hours. Less savvy users who grant each application access to location data and push notification permissions will find the battery will die much quicker. These conditions caused our iPhone 6 to go flat in 17 hours. Improvements made to the iPhone 6’s battery go unnoticed as the larger, richer screen demands more power. Apple didn’t invent the finger scanner, nor was the company first to offer it in a smartphone, though its implementation of the technology remains unparalleled. The second rendition of Touch ID is quicker and more accurate. Switching on the screen and scanning your finger no longer feels like two separate moves. Now both take place in such succession that it feels like one uniform motion. Touch ID is far superior to the finger scanner used on Samsung devices. Fingers are scanned at any angle just as quickly, while the finger scanner used on the Samsung Galaxy S5 works only with vertical swipes. Such concessions don’t need to be made with an iPhone 6. 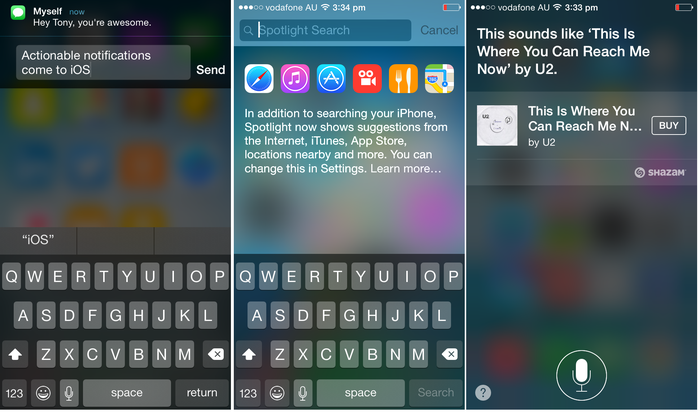 Holding down the home key initiates Apple’s Siri personal assistant. Rivals have since spawned personal assistants of their own, including Samsung, LG and Google, but these are imitations at best. Siri still has them beat when it comes to understanding context, on recognising the Australian accent, and for sounding organic. 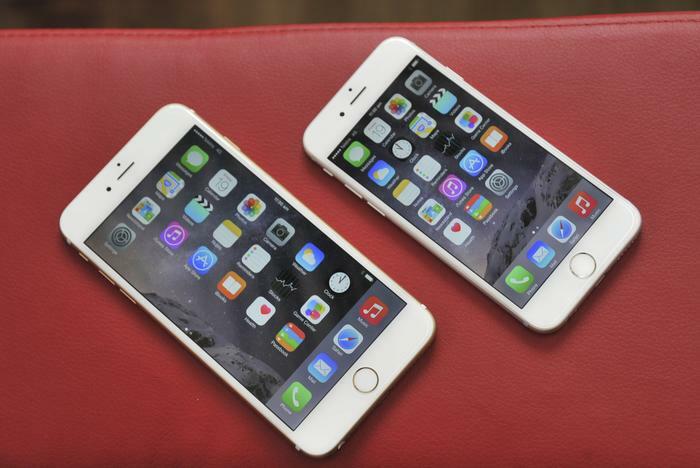 The iPhone 6 is a smartphone seven years in the making. Year by year, Apple has laboured to make it incrementally better, adding a tweak here and a touch there, ultimately paving the way for its boldest iPhone yet. Apple doesn’t play the spec race in which so many companies fall victim. Rather, the iPhone 6 strives to find balances, such as that between software and hardware; performance and efficiency; sophistication and simplicity. It offers only what people need and nothing more. And that’s why the screen, camera, hardware and software on the iPhone 6 are simply great. The iPhone 6 will resonate most with existing Apple customers, particularly owners of any smartphone pre-dating the iPhone 5. Android folks might not see the value, but it sure is there. Which smartphone would you buy?